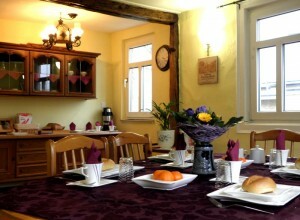 Breakfast is served every day in the dining room from 7:00 am until 9:30 am. The dining room closes at 10:00 am. Hot breakfast options to accompany the above are provided on a daily changing basis. It is important that customers inform us if they have any food allergies or intolerances. Evening food: By prior arrangement we very much reccomend the Gasthaus Wilbert across the road. 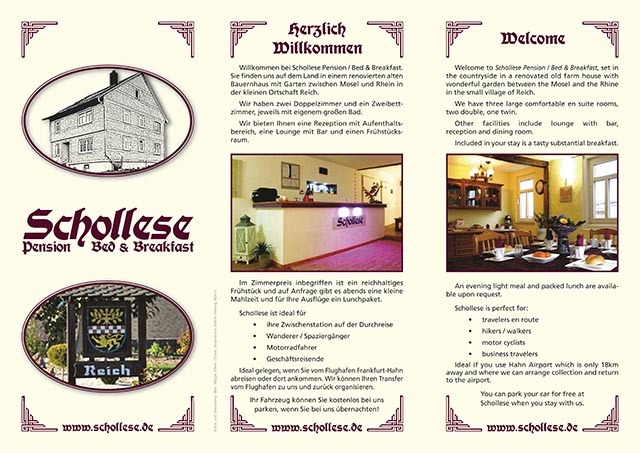 The speciality of the house are Schnitzel. Family Wilbert asks you to reserve dinner at least 24 hours in advance. Payment is made on site with family Wilbert. Alternatively we have plenty of information on local restaurants or home delivery options should you wish to eat here.